Hair loss is a major concern for both men and women, and a number of things can exacerbate the problem. 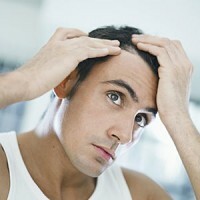 Stress, diet, lifestyle, age and genetics all play a role in our hair loss and hair growth. It is important to have a healthy diet as well as supplement routine in order to optimize hair growth and strength as well as immune function and overall well-being. Once your diet, supplement routine and lifestyle are in order, you can supercharge hair growth and prevent hair loss with these simple remedies. Massage your scalp gently with one of these oils: olive oil, coconut oil, castor oil, almond oil, argan oil, amla oil or emu oil (among others). By massaging your scalp once a week you can help to increase blood-flow to the hair follicles, enhancing the strength of your roots and conditioning your scalp. It also helps to relieve stress, a major factor in certain types of hair loss. Onion juice is high in sulfur, helping to improve circulation and reduce inflammation. Onions also possess antibacterial properties which can help prevent infection and unwanted skin conditions. Grate an onion and strain the juice out. Mix a couple tablespoons of onion juice with a tablespoon of olive oil and apply it directly to your scalp. Let the mixture sit for 20-30 minutes and then rinse your hair. Not just for soothing a nasty sunburn, aloe vera gel can promote hair growth with it’s unique array of enzymes. It can also help balance the PH of your scalp and hair, aiding with growth and overall condition of your hair and scalp. Use aloe vera gel or juice and gently massage it into your scalp. Let it sit for an hour or two and rinse it out with warm water. Do this a few times per week to promote hair growth, reduce inflammation and prevent dandruff. Rich in essential fats and protein, coconut milk can help promote hair growth and prevent hair loss. Adding coconut milk into your diet can provide a myriad of health benefits, but when applied directly to the scalp you can help prevent hair loss. Gently massage some coconut milk into your hair and scalp and let it sit for 20-30 minutes. Rinse it out with warm water and shampoo your hair.